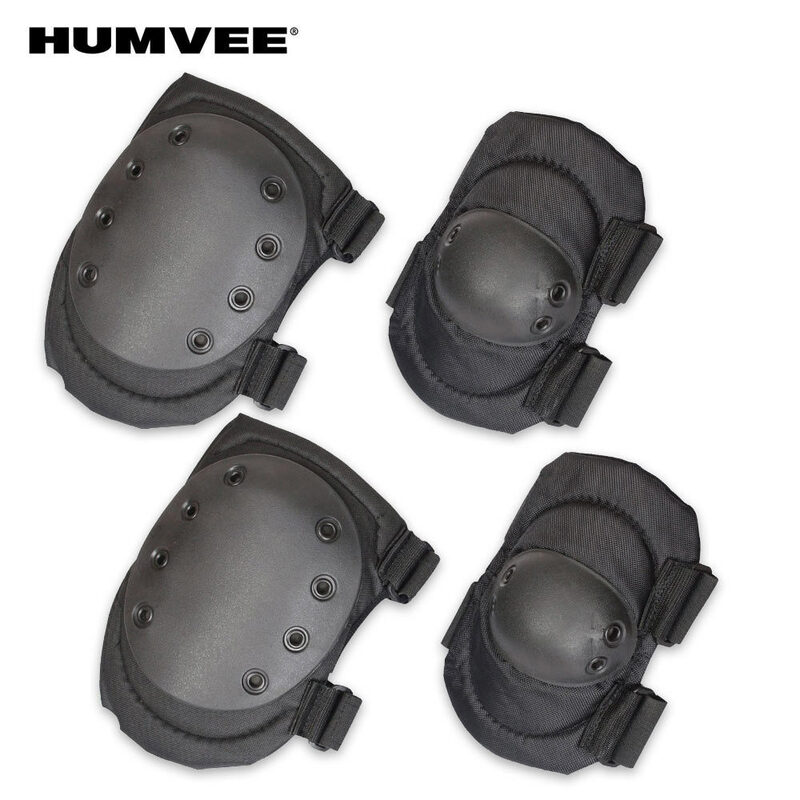 This Knee and Elbow Pad set is constructed of 600D polyester with a PVC coating and a composite anti-skid inner lining with thick foam inside. These pads are durable in all weather conditions and one size fits all with the adjustable Velcro straps. Includes one set of elbow pads and one set of knee pads. Packaged in reusable mesh bag with drawstring. 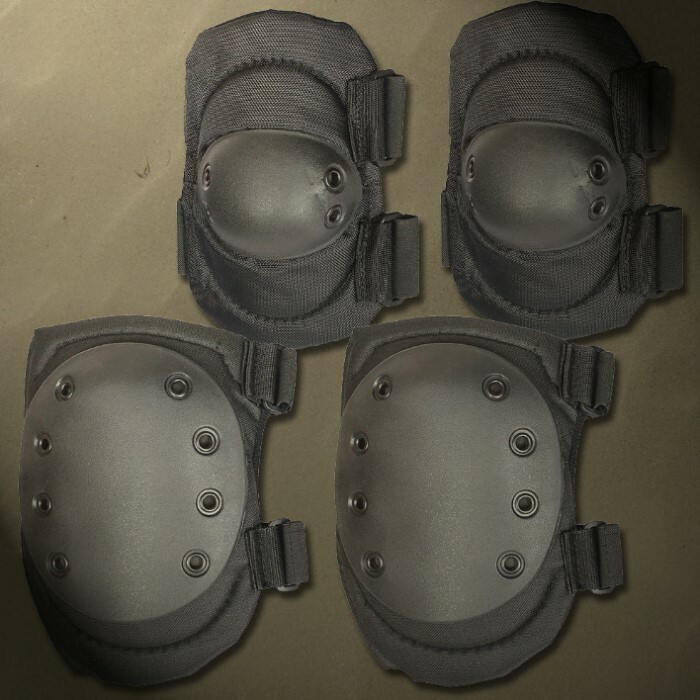 Both the knee and elbow pads are very well made and definitely made to last. The construction is very strong and putting them on is very simple. My wife even uses them for gardening and they work great. Anyone who is interested in these items would fair well with the purchase of this set. Upon first inspection these Knee and Elbow pads look durable and come in a handy mesh bag! Expect a further review if they survive Wasteland Weekend! TRUE SWORDS YOU ALL ARE AMAZING !!!!... These Knee Pads are excellent for airsoft time in the woods.